For those that have read my earlier posts, you will know that I am not a big believer in new entrant assessment of any kind, or testing for the sake of testing. 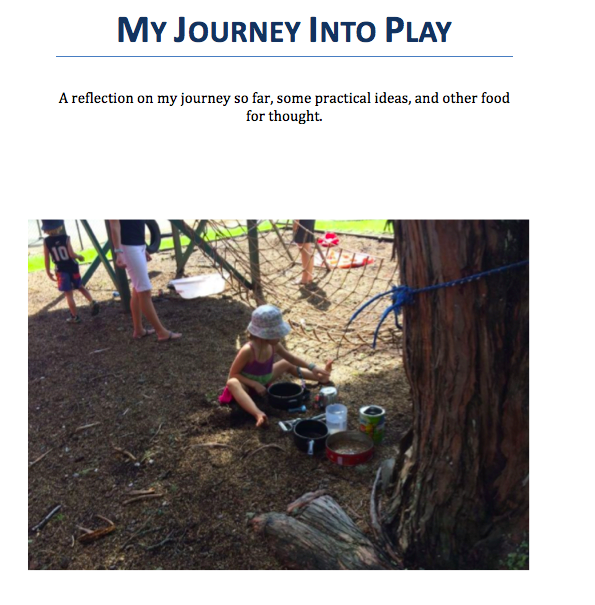 This play-based journey has had a flow on effect for me, it has allowed me to see how assessment (for want of a better word) can be used as and for learning without causing stress or anxiety. It is interesting because the more I have come to see assessment as 'just part of' our daily programme, the more useful it has become to me. The more I start to view it in this way the less aware I become when I am actually engaging in an assessment task because if feels just like the learning process, not something separate or at the end, but something part of the whole, something natural, useful and dynamic that helps me to learn more about the child and the child to learn more about themselves. It has all just become about the evolution of the learner in our classroom, part of the cycle of their growth and this is why I shy away from the word assessment, because it still conjures up images of end point tests and summative judgements. When I use the word assessment in relation to what we strive for I am talking conversational, diagnostic, dynamic, narrative, observational and always involving the child and shared with the whānau as much as realistically possible so that they are also part of the process. My ultimate aim is to be able to use one piece of 'assessment' for many purposes. For myself, for the child and for the family. Seesaw as a sharing tool has made this aim entirely possible and relatively easy. For assessment to be purposeful it has to be a shared process of growth, of progress, of step by step success. Shared and owned by the child and family as much as it is of use to me. However it does not have to be a hugely time consuming process and there is one key tool above all others...the teachers ability to notice, recognise and respond. It is our understanding of next steps, of the learning process, of how to respond to need, of noticing even the smallest detail that may be a hurdle for a child and putting in place something to help them that is absolutely crucial..there isn't one assessment tool that can tell you something you are not yet skilled enough to understand. And so the burden is on us to learn, to learn constantly about the brain, about how it learns to read, to understand the building blocks of literacy, to get a real grip on maths, what happens in the brain when we learn maths, what number sense entails. It is up to us to understand how the brain develops, to know what the child is ready for and not ready for. It is up to us to understand social and emotional growth, to know what it looks like when a child feels unsafe and may have an insecure attachment. 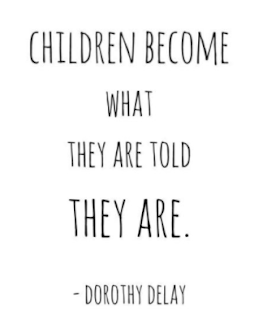 It is up to us to understand dispositions, competencies, how to encourage values development...to recognise how old the children in front of us 'actually' are. It is up to us to be constantly learning and if we are doing it right, assessment processes should guide us to these questions that we can ably investigate and begin to understand a little more each time. 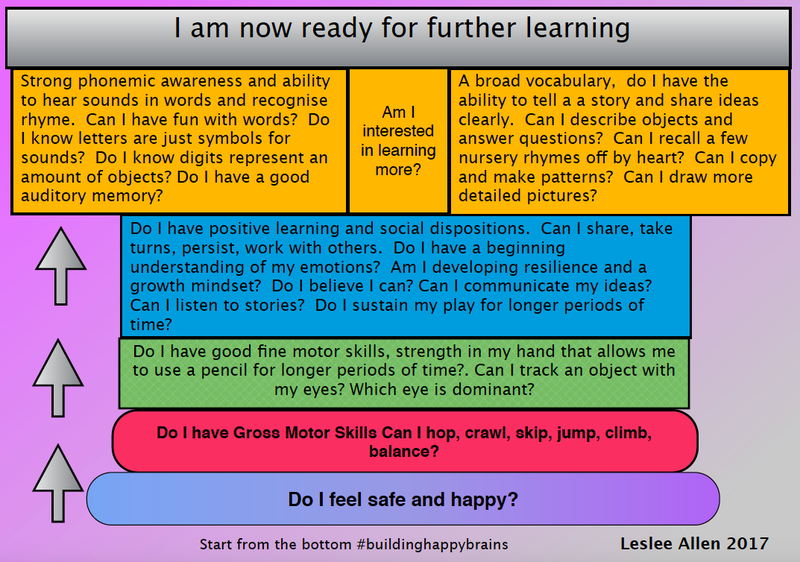 When I talk assessment I am very much thinking dispositional and 'academic' dependent of the developmental stage of the child and what is right for them. There would be little point assessing reading if the child has not yet starting engaging with learning to read, however there are building blocks behind this process that we can be using as 'marks in the sand' and therefore the very important point here is that assessment may look different for each child in the class...and so it should. To allow myself to do this I have created some building block documents based on my own research and experience. These are below. These documents help me to engage with a child where they are currently up to and to set small next steps. The element at the bottom of the last chart is crucial though, if a child does not feel safe and happy, if they have an insecure attachment or are displaying significant behaviour issues, they will not be ready to learn, or focus here needs to be emotional and relational, forming a strong trusting connection and allowing the play based environment to work its magic. In the instance a child is not secure, engaging in or trying to force any sort of academic learning (at any age) is a waste of time and we need to understand this. And so, what have I discovered so far about quality assessment. Quality assessment is that which informs us, the whānau and involves the child. Quality assessment informs next steps and may even highlight areas for further investigation when it comes to learning needs. Quality assessment is based on the understanding that learning is not linear and will often lead us to branch out or circle back before moving forward. Quality assessment should be so embedded within the learning process in our classroom that it may not even be recognised as assessment by the observer. Quality assessment is transparent, without hidden agenda and quality assessment happens because it is useful and necessary, if it isn't, it does not happen at all. Most importantly there is no one fit suits all, assessment may look different for each learner according to their current learning path and needs. Quality assessment is not comparative, it is based on growth and progress for the individual learner and therefore tools may be used to assist the learning journey of one child, but not needed for another as they are at a different point in their learning journey. What I have also come to realise is that it is hard to make this type of quality assessment work in a classroom that is teacher directed and bound by timetables. It works in a classroom that is student driven because the teacher is free to do what makes us most effective, notice, recognise and respond. A student driven classroom frees the teacher to work individually with children or with small groups, making this type of non-linear assessment work. So what is it we currently do in our Year 0-2 classroom? 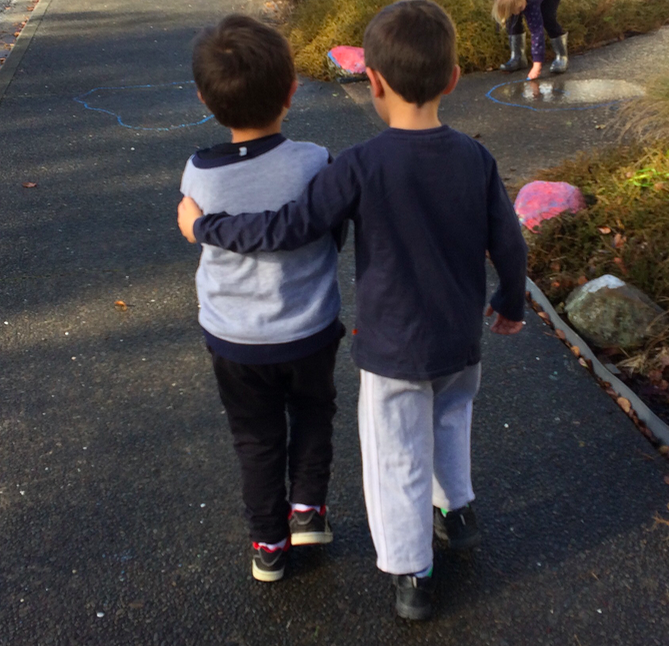 - We allow children just to be, just to settle, we spend at least half a term getting to know them, noticing interests, dispositions, urges establishing their level of security within our classroom and taking time to deliberately create strong trusting relationships. 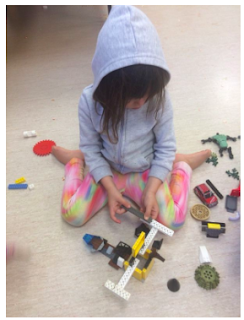 - We share dispositions/urges/interests/social emotional development through posts on seesaw. Using these dispositions as a guide. We aim to write a longer narrative supported by video or photos twice a term for each child. Dependent on the child's needs these may start to be based on academic growth. These narratives are literally only a few sentences and have been a more manageable way of incorporating narrative assessment for us, in a big class it can be quite overwhelming to feel that we have to write a full learning story. We reserve longer learning stories to whole class items in our learning journal. This is ------ story from yesterday in her writing journal. She is able to draw a picture and tell us what her story is about. It is great to see her use some words that were modelled on the board to help her write her story. We have seen greater persistence, when completing tasks in the class. As -----has become more comfortable in the classroom environment, she also appears more resilient, and will keep trying even when she finds the task hard. This has been wonderful to see! A volcano 🌋 3D art inspired by a unique big idea 💡 once again. This inspired a lot of learning about volcanoes and dinosaurs today! The persistence and focus required to complete these is quite remarkable. - After half a term we start to engage one on one with a child on developmental goals, establishing where they are at, and where we need to meet them. These goals are here and will be played around with according to the needs of the child. We will also share the how and the why on seesaw as the children moves through them. Once fortnight we will meet individually with the child to check in with where they are up to. Until children have moved onto the early literacy section of these developmental goals, these are of paramount importance and our most important form of assessment. - As appropriate developmentally we use samples of 'writing' to talk to children about what they are doing really well and what their next steps are, these are shared with whānau as well. We use this to 'assess' growth. - As a child is developmentally ready (has working memory well established) we start to give them a number goal which we share with home and conference one to one with. 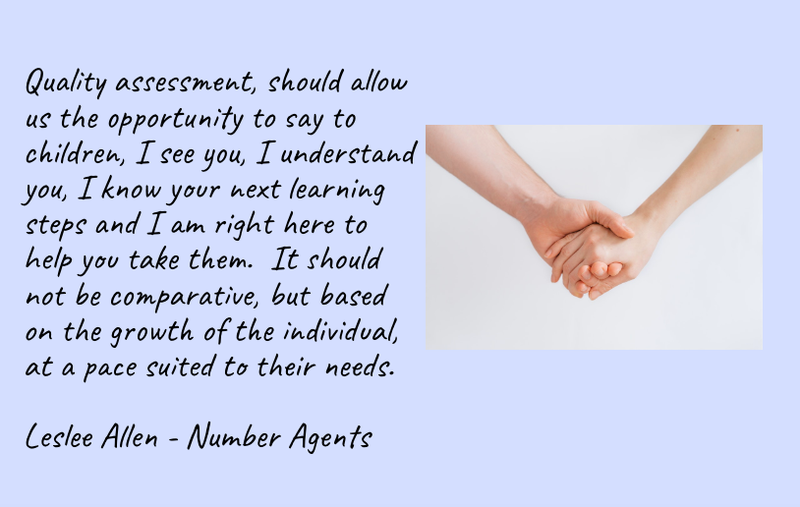 These number goals are broken down from the i-kan. We meet with children one on one once a fortnight to check in with how they are going and provide feedback and next steps. - Throughout play we take a lot of photos and videos and use these to guide reflections. We share a lot of these photos and videos on seesaw to build up a whole picture of the child, their strengths, interests and urges. - Throughout Number Agents we will video strategies and use these to guide our reflections with the child and whānau. 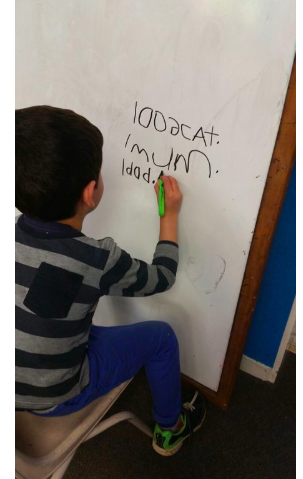 - When children are ready start reading, we actively use the decodable texts to guide next steps, sharing videos of our sessions with whānau or writing a narrative about next steps. We will conduct a running record when we feel this is sensible to do so, and will be useful to us, however actually asking children why the self-corrected, or how they solved that word is very valid and useful information. Each child has an individual learning journey where all this information is compiled over time. Using these approaches we can form a nice well rounded picture of the child that we can confidently share with parents when we have learning conferences. We have a depth of understanding about a child that we did not have before and it has really come from simply slowing down and appreciating the nature of development. Is this the be all and end all? No of course not, we are still on our journey and will always be learning and growing. Our ultimate aim is to be able to create a respectful and knowledgeable picture of growth about each and every child that clearly shows their strengths, passions, urges and captures who they are. A picture that clearly says "I SEE YOU"
What might play look like across the levels? 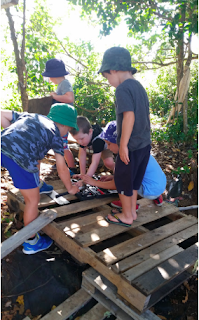 When using play as a pedagogy, the hardest dilemma is in fact what the play may look like and be provided for as children progress through the levels. It is one schools wonder about most often and one reason that play may be used effectively in the first year, but not beyond. This makes it difficult for the children who have flourished in a play based environment to then fit into a more prescribed, directed room. Often leading to frustration and stress for not only the children, but the teacher as well. Relationships in a classroom that uses play as its primary pedagogy are something that come to the fore. Play allows us a deep understanding of interests, urges and strengths, which in turn gives us a way in with children. This is more difficult in a traditional, teacher directed room where children are more likely to go unseen. 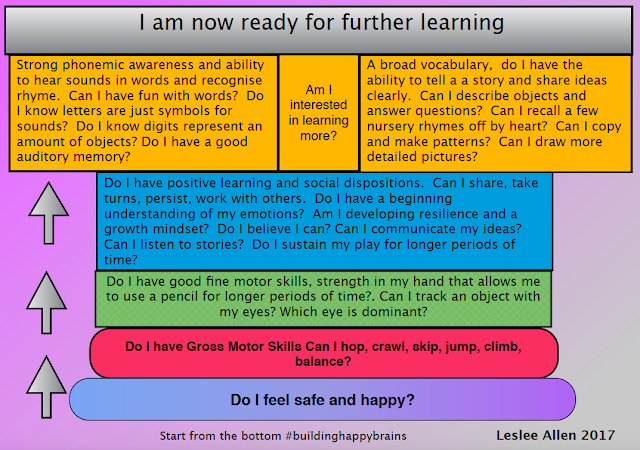 While this will differ from school to school depending on philosophies and values I want to attempt to capture what it may look like, how it will be provided for and what else needs to be included as children become developmentally ready and interested. I will write from what I know, which is from the point of view of our school and where I would ultimately like to see us working. We have not got there quite yet, but are working towards this. For me, it is all about relationships. 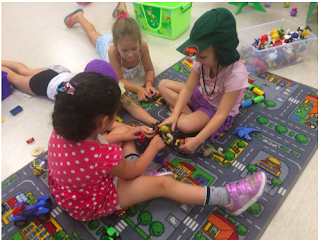 Using developmentally appropriate practice does not mean children are left to their own devices, what it does mean is that as teachers we learn to meet them where they are at, rather than expecting them to meet us. Firstly let me say that the it is important not to throw the baby out with the bathwater, but in fact to just reframe the ‘academic’ learning through a lens of authenticity, student voice and purpose within an approach that honors playfulness, the powerful importance of strong relationships and developmentally appropriate teaching and learning. Secondly we need to address the purpose of levels...they are a means of grouping children with their peers, but if we are to look at this from a developmental perspective, they fall down. Just because children are a similar age, does not mean they have similar needs, nor should a ‘higher’ level be used to indicate that a child is further on in their development as this simply may not be the case. We all know those children who are incredibly mature at six or seven and those that leave school socially and emotionally very similar to how we would expect a five or six year old to be. Does this mean they won’t do well, not at all, it just means that age is a number and if we are to engage deeply with children and actually understand them as individuals we have to appreciate the stages of development and the rate that some progress through these. I feel Piaget’s stages of development are relevant here, and it is very important to note the ages that have been tagged to these stages of development. This is a useful article here. Obviously this is not the be all and end all for development, and within each stage there will be a spectrum of behaviours and dispositions that we see developing, or not developing yet. I believe that mixed levels as a compromise are an effective way of grouping children, children learn from and with each other as they play and engage in more directed tasks, so a range of children, not just grouped by age is a useful way to ensure this happens as naturally as possible. In an ideal world we would not group children in this way at all, but that is a huge area for exploration at a much later date. In this time play needs to take precedence. Play should permeate through the whole day and be the mode of inquiry that teachers are working with. The children are the curriculum and so coverage comes out of the interests and urges as they are noticed and responded to. Te Whāriki is seen as the key guiding document for learning. During this time developmentally appropriate practice allows us to engage individually with children introducing them to more formal ‘academic’ learning as an when we know they are interested and ready. Writing should happen through storytelling initially, with specific phonics teaching being part of listening to and having fun with words, appreciating the importance of hearing sounds and understanding that words are made up of sounds. The teacher should have time to pull out children individually to work with them if they are ready for learning such as guided reading. Dispositional learning is seen as the most important thing and children should be actively learning social and emotional skills through authentic situations which are then noticed by the teacher, reflected on and responded to as appropriate. Kindness, empathy, respect and growth mindset are actively taught in fun and interesting ways that appeal to children, like song, drama, video and picture books. Children are introduced to all areas of literacy and numeracy, encouraged to have a go in a relaxed way, with oral language development and rich discussion being of paramount importance. Play is not teacher directed. It is not planned for and any planning is backward in nature. There is no timetable or structure to the day and this is guided by the children and their play. 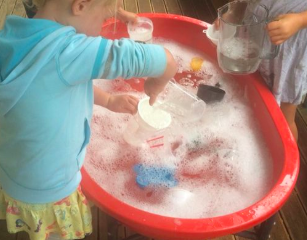 There are no ‘filler’ activities that are designed for teacher control, play is the mode of working in the day when children are not together with the teacher. The environment is key, it must inspire curiosity, play and investigation, there is an appreciation that the environment is not only the inside of the classroom, but the outside as well, where many will spend a lot of their time. 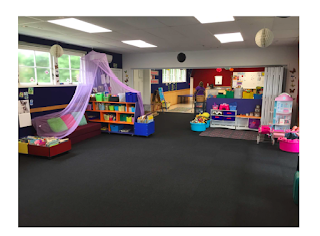 The teachers use of space is important, mingling within the play, observing and not remaining located in one space. Thinking about their positioning in the play is vital. Learning is captured in clever and reflective ways, maybe via still image, picture, video etc and is used to guide reflective learning discussions that may or may not provoke further thought or investigation. Talk is paramount, a high level of vocabulary is used and explained. Children actively lead learning discussions and there is never an assumption that they don’t know. In an environment based on play a child’s prior knowledge is used widely and they are seen as the experts. 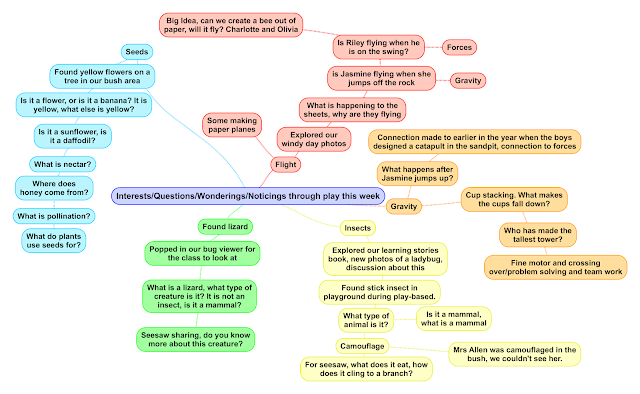 Their questions, wonderings, noticings, big ideas very much guide each day. Assessment is seen as working for learning, it is done as appropriate and used to gauge developmental progress initially. The majority of this happens dynamically throughout the day, individually and is shared with the child and whānau. Play will continue to permeate throughout the day and be the sole method of inquiry, using children’s interests and urges to guide discussions and further learning. Play is not confined to one section of the day or week, but carefully managed and provided for throughout most of the day. If children are not involved in teacher directed learning, they should be playing. 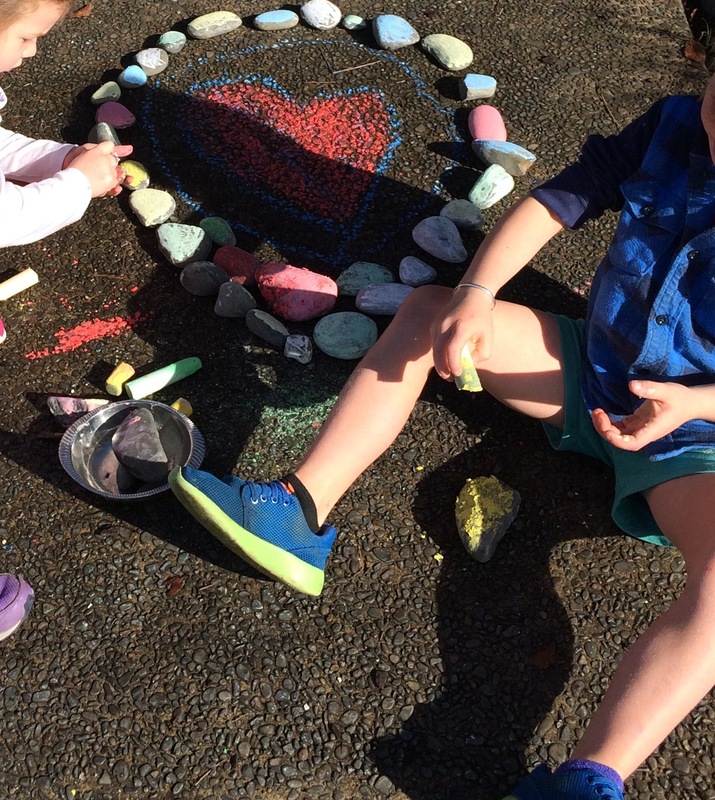 A rich environment is vital where children can have the opportunity to deepen their play. A focus on creativity, problem solving and investigation will allow authentic and purposeful learning. The teacher needs to become skilled at recognising and providing for these. Dispositions should still guide a lot of what is happening and deliberate teaching needs to happen around aspects of kindness, respect and empathy. This is vital as children become better at understanding that others have feelings and that the choices we make have a negative or positive affect. This teaching could be done through song, drama, animations, picture book or photos/videos taken throughout the day. 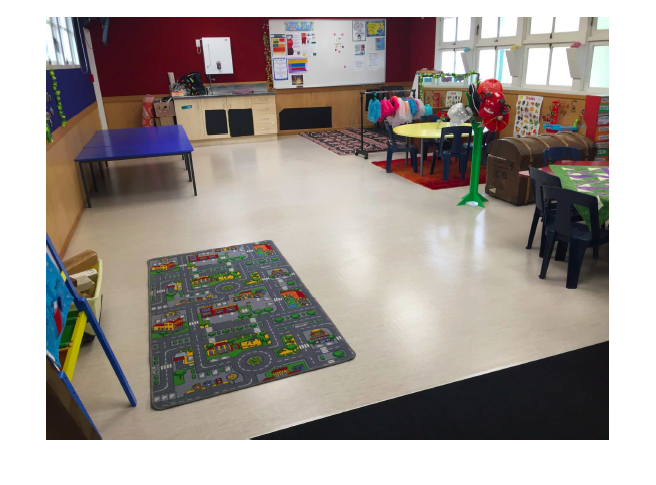 There will be an appreciation that some children in this learning area (particularly those not yet 7) will not yet be developmentally ready for more academic learning and a balance for these children needs to be found, it is vital they are not stressed by activities that are beyond them. Writing, reading and maths will find their ways into classrooms in more directed, but also playful ways, happening each day, these sessions will be short and valuable in terms of growth for the children. These sessions may be inspired by the play that is going on in the room. Storytelling continues to be very important at this level, with a focus on children’s writing being their own, based on what they want to write about and expectations set around what the teacher knows about that child. Children may still be being engaged with on an individual level while others play, particularly in goal setting and areas like reading where it may be appropriate for them to be working on their own with the teacher. The timetable will remain fluid, but it does become important that children are taking part in more directed teaching as well that could flow from their play. 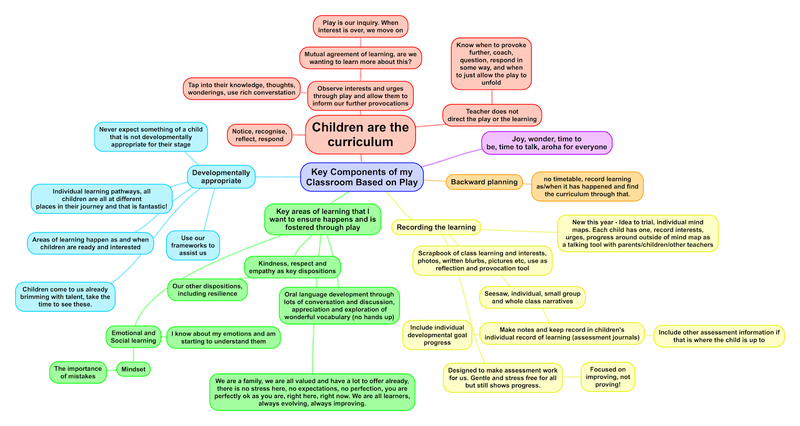 However it is absolutely vital that this directed teaching is relevant for the needs and stages of the children. 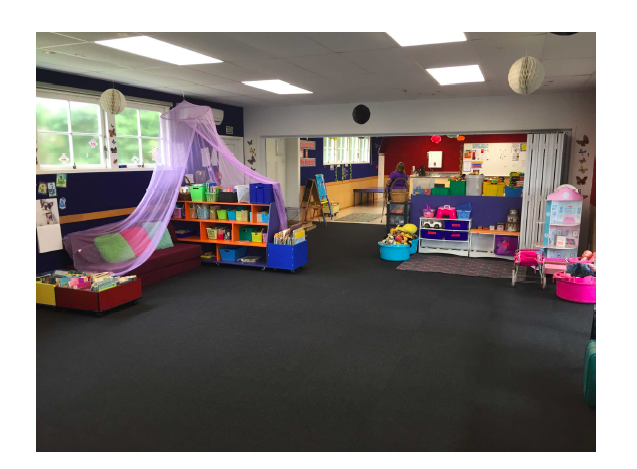 The teachers use of space is important, mingling within the play, observing and not remaining located in one space. Thinking about their positioning in the play is vital. Positioning allows the teacher to notice what is going on and not only actively recognise and respond to the play, but to also actively recognise and respond to individual needs. Positioning allows us to be open when children need to be seen and heard. Relationships should always be of paramount importance. Student voice is gathered and actively listened to. Vocabulary remains elevated and talk continues to be of vital importance as oral language is a way into further learning. Growth mindset teaching is of great importance as children begin to understand how to reflect and respond to their own learning. Assessment should be for learning and summative assessment is only used if it is useful. Curriculum continues to be captured and recorded through play and used to reflect on, respond to and provoke further investigation. At this level the teacher will have in their head the ‘must’ get to elements of their day, however is open to the play taking them a completely different way. The teacher needs an effective system to record the learning so that the ‘curriculum’ is captured. 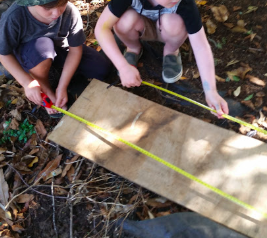 It is vital the teacher has exemplary curriculum knowledge, particularly around the competencies, but also has a good working understanding of Te Whāriki as some children could still be working from here. Mantle of the expert may begin to be woven through in mini mantles as appropriate to the needs of the class at the time. It is vital that the playfulness and dramatic aspects of the mantle takes paramount importance here. Firstly it is vial that we acknowledge here that although these children are older, their urge to play is still as strong as their more junior counterparts. It is also important to understand that in terms of development children at this level still may be operating where we would perhaps expect a 7 year old to be developmentally, once again, this needs to guide how we interact and what we expect. 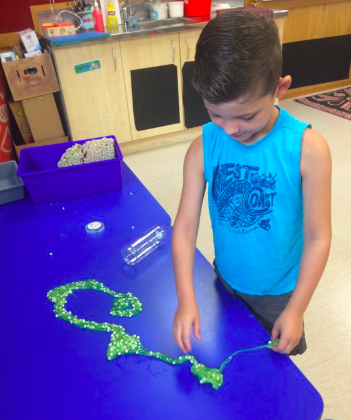 It is vital that playfulness, authentic and purposeful learning situations permeate the day. Student voice is huge and wherever possible this should guide learning. Children also still need opportunities to free play without teacher direction and the environment can play a key role here. The NZ curriculum will guide learning direction, with the competencies being the most important consideration. Quality literacy and maths will be provided for and a lot of integration will happen through Mantle of the Expert. Assessment is seen as being for learning and it is vital children are an active part of this process. Learning goals and next steps are vital within this process and narratives used should share these with parents. Creativity, problem solving, flexible thinking, innovation and imagination should continue to be drivers for learning. Dispositions remain a focus, with growth mindset teaching being very important. Strong relationships form the basis of success. Timetables should be fluid with opportunities to follow interests and wonderings. 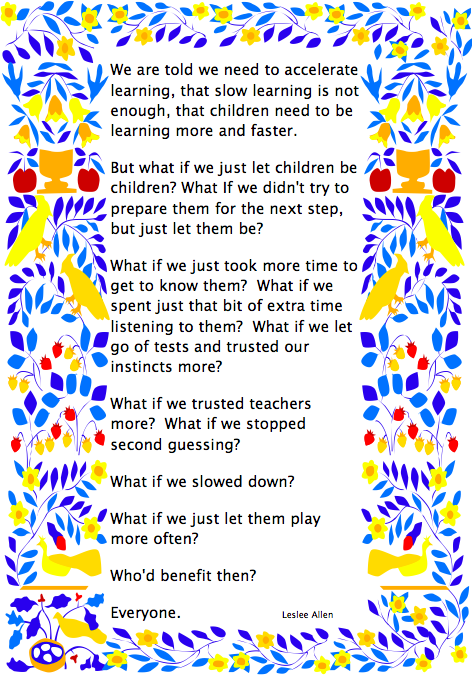 A culture of trust for children to blossom in! It can be really difficult to let go of the way you have done things in the past. Believe me, after 21 years teaching, this has been the most challenging and confronting journey I have been on. Confronting because in the past six years I have called into question all that I have believed as a teacher and given away the majority of my practice. It has been a challenging journey, because it has meant really having to stick my head up out of my teaching shell and be prepared to share my journey, knowing that many don't agree, can be down right rude, but also trusting that for many, the journey I am on supports them, just as I am supported by the journey of others. I think a lot, as we all do, so this experience has been challenging, because just as I think we are ticking along, another wondering pops into my head that I just have to pursue. Play, as in the pedagogy that I use and how I approach it has morphed and changed each year, because let's face it...we don't know what we don't know until we want or need to know it. This has made this journey transformative for me, but ultimately for my school and I know for many this continues to be challenging and confronting, but hopefully, just as rewarding as it is for me. My journey has lead me to a place where I work a lot harder, I am constantly on the go, I don't plan in the traditional sense, but I am 'planning' just on the spot and led by the children. Being reflective and responsive is not something that naturally comes to all of us, I am lucky that it is part and parcel of who I am. For those that like to tick the boxes and know where they are headed, this journey is challenging. By the very nature of play as a pedagogy and the need to make learning purposeful and authentic we can no longer control it. That can be scary, it can create stress and it can create worry...and that is where trust comes in. Transformative change, real change, change that blows things up, deep change, change that makes a difference, does not happen without trust. This comes in several forms in a school environment. 1) Trust in ourselves. We need to believe in our abilities as an educator to let go of the known and leap into the unknown. Not blindly of course, but following research and a great deal of thought and reflection. But ultimately that leap does need to happen and we have to be prepared to let go of the old pedagogy or it will only hold us back in the place we have come from. It is like losing weight, but keeping your old clothes just in case you ever gain it back. We have to trust in the decision we have made. 2) Trust in each other. As educators we are a team. We have to be willing to listen to each other, without getting defensive or employing excuses. We have to be willing to take on ideas and truly have a go. Most of all we have to trust that others are as deeply into this journey as we are and not holding onto their old clothes. Children quickly get used to this pedagogy of play, student voice and agency and if the next teacher is not as far down the rabbit hole with it, they will quickly sense this and demonstrate it in a range of ways...defiance being one of the ways. If they are not feeling listened to or valued, they will make sure they make their feelings known. 3)Trust in learning. Play is how we mammals learn best, even as adults. Authentic and purposeful learning context driven by interests and urges produces a depth of learning I have never seen before. But we must trust enough to take a scalpel or sledgehammer to the amount of direct instruction we have been engaging in, the activities we have pre-designed and the planning we have done in the past and trust that children want to learn and will learn without these things. 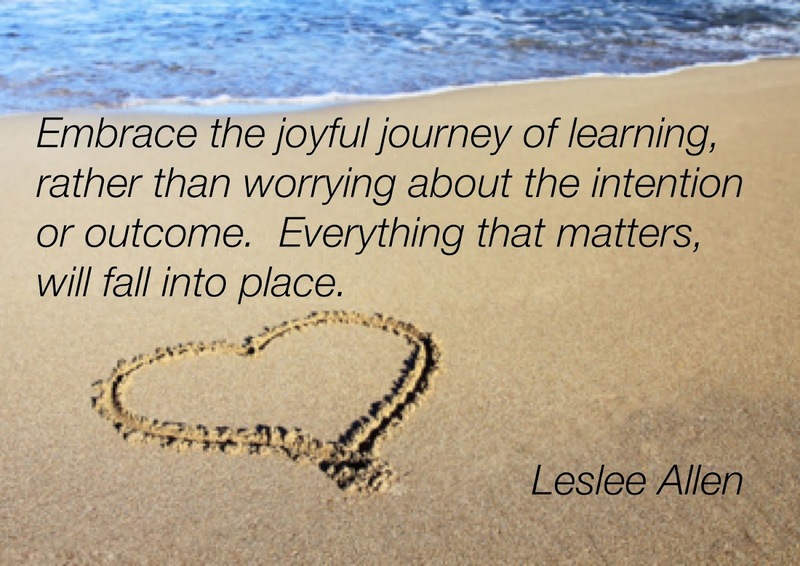 Instead we must trust in the individual and small group moments, the just in time moments, the just right for now moments, the moments of intrigue and wonder, the moments we can respond to and really make a shift for that child. Children will read, write and develop mathematical understandings...that will happen, but in their own time and as they are ready, and you will know when this time is, if you trust enough to let them guide you. Learning should be playful, so even when we are engaging in direct teaching, we need to be aware of this. 4)Trust in the children. Without this, this approach is dead in the water. Play has been around since adam was a baby, it is not a new thing, we have not discovered it, we can not claim to be the experts...we have rediscovered something we should have always known. Play is learning and learning should be play. Play however can not be micromanaged. Give up now if you need to do this. 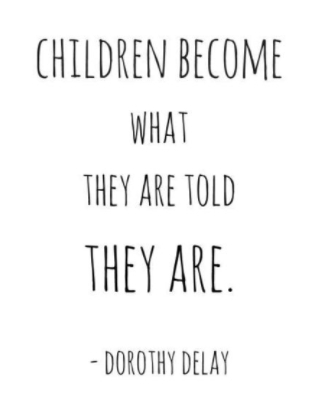 Children need freedom to play, freedom to truly self-direct, regardless if we understand what they are doing or not. They need space to grow and an environment that allows this. They don't need us to constantly know where they are at every moment and they don't need us playing with them, unless they actively invite us in. Children are competent, capable individuals, wired to learn through play, they don't need our help doing this. They are naturally curious and will find the 'curriculum' for want of a better word, without out help. Trust in them and you will be rewarded. Well we have just finished our first full week at school. Seven days in it is like we never left and although our class is now made up of nine new children (27 in total) the play at our place has just continued seamlessly. I have already learned so much over the last week. Thanks to Marc Armitage for giving me the confidence to know that for the most part, we really need to stay out of the play and just tune into what is going on. I had started to get there last year, but his words have given me that last bit of confidence to just let go. What we have noticed this week is how little we are needed and how with the different mixture of urges in the class, the play has changed from last year. We have a lot of children with connection urges, so the items that largely went unused on our shelves last year have been out in force. We have spent the week realising how deep and rich the play already is, and how little attention the children pay to us. We can be standing just a few steps away and they don't even notice us. It allows us to tune into conversations, take note of vocab being used, notice the urges, interests and be able to write rich (but short) reflections on the children that include the dispositions being used. They come to us, just to affirm what they are doing, just to really reflect them, to quickly share, then they are off again. They may invite us in, but on their terms and often only for a short time and for the novelty of it all. It has allowed me to see how much the environment provokes and just how little as teachers we need to be doing to provoke this play. In fact I can quite happily tell you I did nothing out of the ordinary this week and had the pleasure of taking part in some beautifully rich reflections where children were inspired by the big ideas of each other. In terms of my role, well it was one of pulling all the ends together, finding connections, drawing attention to dispositions, finding moments to allow children to grow socially and emotionally, promote kindness, writing up class learning stories in our scrapbook and taking photos to share. Our scrapbook is already really full, I have allowed myself the time to notice so much and children the freedom to play without the intrusion of an adult. 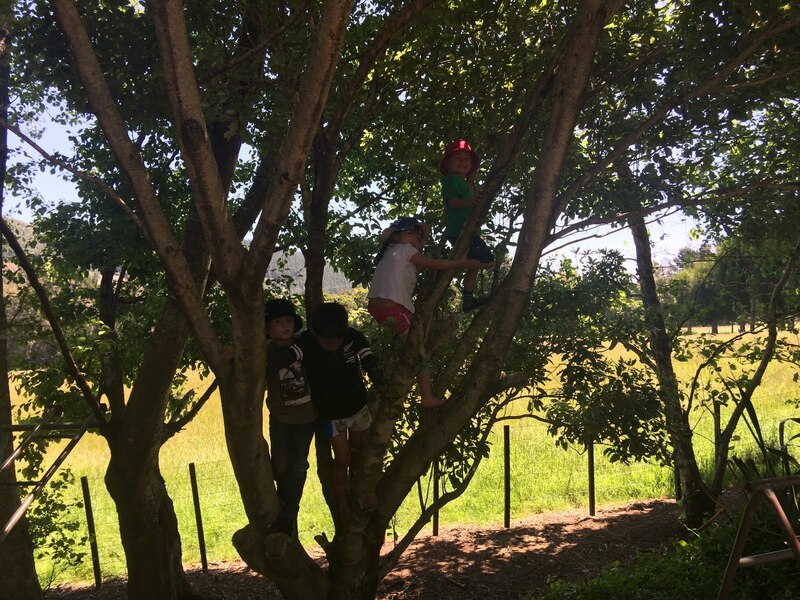 I truly am starting to feel like I have the ability to 'see' the power of the play and have come to a place where I trust that the learning will spill out...the play is the learning and the children are the curriculum. Some images of play this week....wonderful fun! A wonderful story written about this in our journal because of the problem solving I was able to just stand back and watch. Our place feels so relaxed, it is full of joy, excitement, imagination, creativity, cooperation, kindness, empowerment, negotiation and moments to learn from each other. Thanks to Marc Armitage I have taken the time to watch for children starting play independently, continuing it independently and ending it independently. Such a great measure of a child in a play-based environment. Because we keep children developmentally I also have the privilege to see that shift in the children we have already spent 6 months to a year with. It allows me the confidence to deeply know them and understand how we desperately need our system to gain more understanding about developmental progress in children. I have also come to trust in myself, that I am getting it right, I am understanding children more deeply, discarding the need to worry about age and having the insight to engage with children individually. 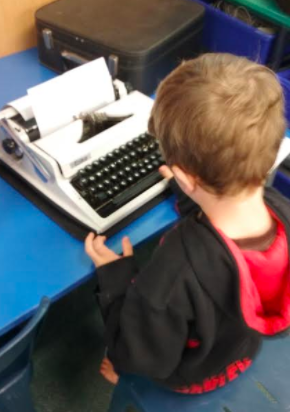 I love this way of working, I truly love education in this form and my deepest wish is that every child across NZ had the right to experience school in this way. The mind map below captures what our path has been so far. The reality is, if we are to get this play thing right, we have to realise that they just don't need us as much as sometimes we'd like them to, and that is absolutely wonderful! Something I have learned over the last four years of this journey is that as teachers we have a huge role to play in how children define successful learning in a classroom, this is no different in a classroom based on play. Children notice every nuance, every facial expression, everything we say and do not say. They notice how much weight we give to certain activities, how much positive attention we give and they seek to please us by choosing to engage in these activities. What I have noticed over the 20 years of my career are that most children are people pleasers...particularly girls and they deeply want to do the right thing. If they perceive that a certain type of 'play' is more desirable than another type, they will engage in this preferred type, even if it is not what they are interested in. Children are largely taught to people please, from the moment they pick up a book and get a huge smile from their mother or father and copious amounts of praise and pride heaped on them they learn that there are certain activities adults desire over others. Did they get that same praise when they choose to mash the colours of doh together, jump proudly of that log in the backyard, skip around and around in circles or transport their toys one by one from one coach to another? Probably not. They learn early on that there are certain types of activities their adults like them to do, and often those are not the ones that their heart desires. Add to this that they are often told by enthusiastic parents that when they start school they will learn to read and write and when that first book comes home in the book bag is suddenly more important then the fun that they had creating a catapult that day, it becomes glaringly obvious what is desired. Children are constantly given messages of what success does and does not look like and as adults we need to be aware of this. What I have been aware of over the past few years, is that they are also looking for these reactions from the adults in the classroom. These reactions are often not even conscious ones. 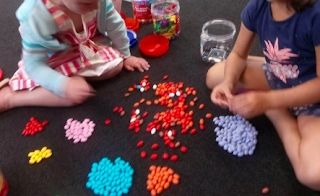 Do we display more approval in them selecting to draw on a whiteboard during play based time, than the imaginative play they have been engaging in with the loose parts? Do we pay it more attention when they are counting rather than attending to their potion making? 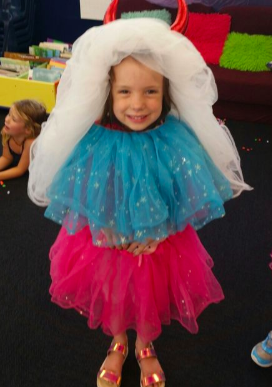 Do we hold independent reading during play in higher regard than pirate games in the pole hut? What I have learned is despite how hard I have tried, I am still so inclined to be looking for the academic over the play, nothing wrong with this because I am trying to break habits of 15 years. A smile, a look, a nod of approval, a word of praise, that is all they are looking for to work out what I value, what will make them successful, and your garden variety people pleaser will seek to do more of these things, rather than engaging in what they actually want to do. So for play, deep, wonderful play, that is truly child-led (independently started, independently continued independently ended - thanks Marc Armitage) to flourish and grow in a classroom environment it is the play that needs to be focused on, the play that needs to be reflected on, shared, noticed and responded to. 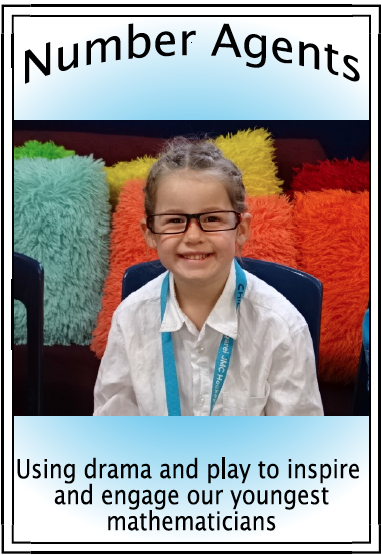 In our space we do this a lot through class meetings, viewing and discussing the play, truly rejoicing in it and the fabulous dispositions shown, recording it in our class scrapbook. We engage in the play as it is going on with "I wonder" statements, but to be honest my goal is to keep my nose out of it more often than not. What I have found is that teacher interaction in the play largely comes about because we feel a need to be involved, I am coming to learn, we are not needed and need to hone our skills of observation instead. What I am trying to say in this post is that children easily take their cue from us. 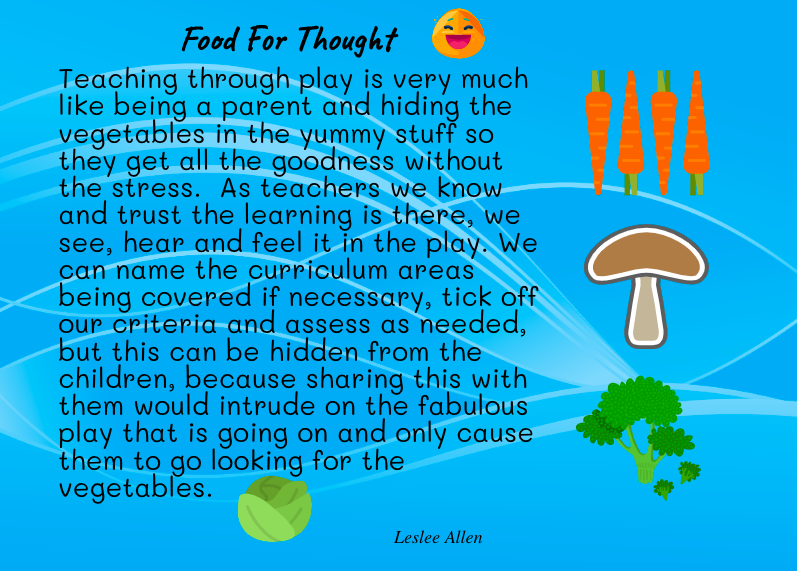 The play may be the bit they enjoy, but if the adult is paying attention to the more academic tasks, then perhaps the 'vegetables' are more important and they will look for them in order to please us. They take their definition of success and learning from us, they seek to please us, therefore as teachers we can still be aware of all those 'academic' indicators but in my opinion for truly joyful, deep play to happen in our spaces...we need to keep these intentions hidden. I have posted about this previously, but because this is an issue many are thinking of at this time of the year I thought I would expand on it a little. Have a read because there are probably things in here I won't mention again. To me the word timetable and the word play don't go together, they are contradictory terms. After all, what is a timetable for, well for the large part a timetable is to make sure we get through all the learning in the day. All those things we must do. But the mere fact we are doing this, does not set us up for truly independent play. A timetable is probably also useful for management teams if they like to micromanage. This definition of play, presented by Marc Armitage at a recent play-based conference is the best I have seen yet. So if children are to play following their own interests, what benefit is a timetable to them or us? Marc also raised this point, that we should be looking for children to start play independently, continue it independently and end it independently. Again done best in an environment not constrained by time slots. So when I say ditch the timetable, what do I actually mean. What it doesn't mean is that I don't plan...in fact I do this a lot, but most of it is on the spot and reflective. It guides my 'teaching' far better than any timetable I have every written a week before has. I also don't sit down and write long-term or short term plans. Once again the idea of planning this far out is contradictory to the word play and to the very individual needs of our children. Planning for the 'mass' allows us to miss the needs of the individual. Well to start with I think about the components of my programme, what is important to me, understanding what I do and how I want to get it done. I then think of the term, of the things I want for the children, these are dispositional not academic. 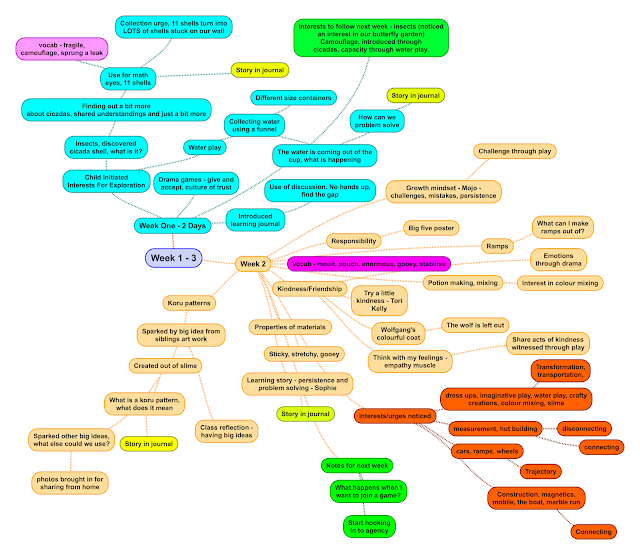 I also set this out in mind map form. These help to set my priorities. Each week, I use this to guide what I would like to pop into our reflective/discussion moments during the week - aka mat time. There are areas of 'academic' based learning in there, it is just that this is governed largely by individual readiness and fits where it is appropriate. Children begin the day with play and I then scribble what actually happened during the day as we go. Obviously we have a swimming slot and we put Number Agents in there as well....but other than that our day is fluid. We have rituals, like singing our songs from waiako, a lovely start to the morning, sharing a chapter book after lunch, browsing at books of interest for ten or so minutes some time in the day, sharing the play we are seeing and provoking a little more through discussion etc. This scribble is usually done in the form of a mind map....featured below rather than being linear. It works for me. The gift I ultimately want to give to our children is large chunks of play that are not interrupted by an adult. We do all we can to bring visibility to learning throughout the day, either through video, sharing on seesaw, recording in our shared class scrapbook etc, so the planning is done, it is just done after the fact. 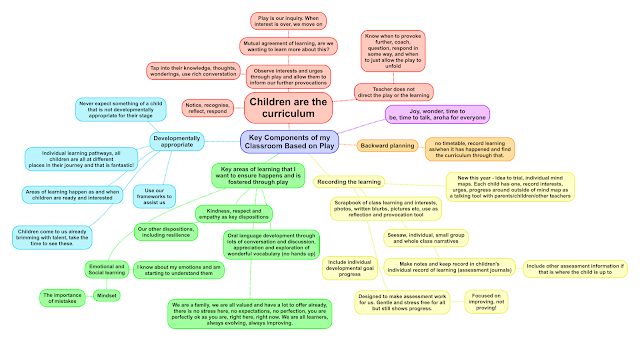 This year I want to try mind mapping about individual children, this will be a challenge, but I think it could be really valuable. Ultimately it comes down to trust, trusting the children, trusting that learning will fall endlessly out of play and trusting ourselves to make best use of this wonderful approach. 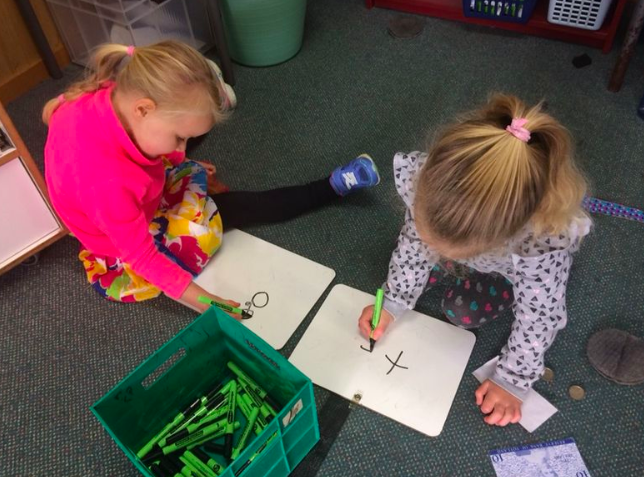 Writing in the early years - what should we be trying to achieve? Inspired by this ...have a listen, it is very interesting. Writing...a complex way to communicate with many pieces to the puzzle that I think often go overlooked. I have previously shared some ideas on writing that can be linked to here. 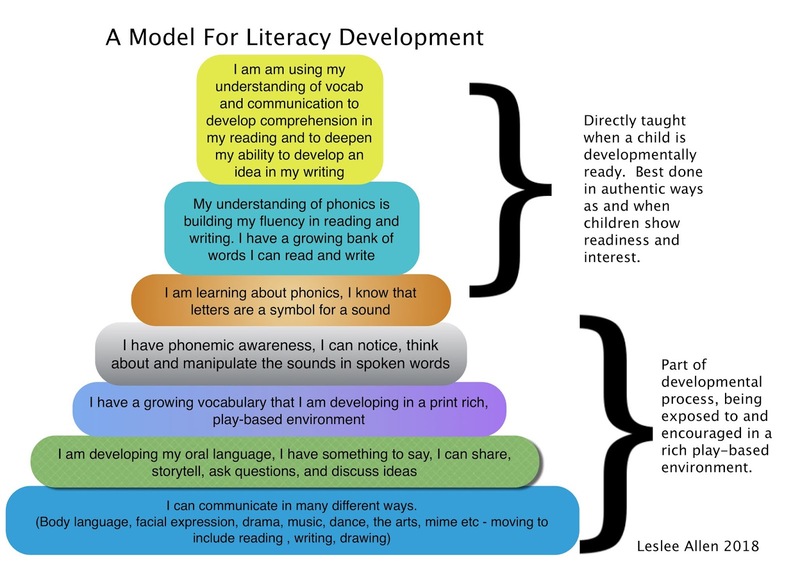 What I wanted to think about today, for myself, as much as anyone reading this, is the parts of the jigsaw that have to be in place for a child to become successful at communicating in the written form. Too often I think writing is thought of as this stand alone area, taught in isolation and without purpose. Firstly let me say this, children learn best through play, it is my belief that particularly in Year 1 - 2 their experience of school should be through play. The most important part of learning for these children is social and emotional, if we fail to get this right, we can be part of creating huge problems later on. We only have to look at our depressing stats around mental health in young people to know that something is going wrong. Should we accept complete responsibility for that, of course not, but by placing stress on a child from a young age to do something their brain is not capable of doing yet, we are contributing to those statistics, as confronting as that may be, it is the truth. Have we done it knowingly, of course not. Do we know better now? Yes, so it is time to stop and it is time to put the overwhelming research into practice, because to not do so would be completely ignorant. If that means ignoring ERO, ignoring our Education Ministry, so be it...it is the children that matter, and we are the ones who have the power to make a difference for them. From Year 3 onwards play continues to be very important, but if we can get it right in the first couple of years, we have done a huge service to the child and their later development as a well rounded, happy, secure person. I've blogged about literacy development before. 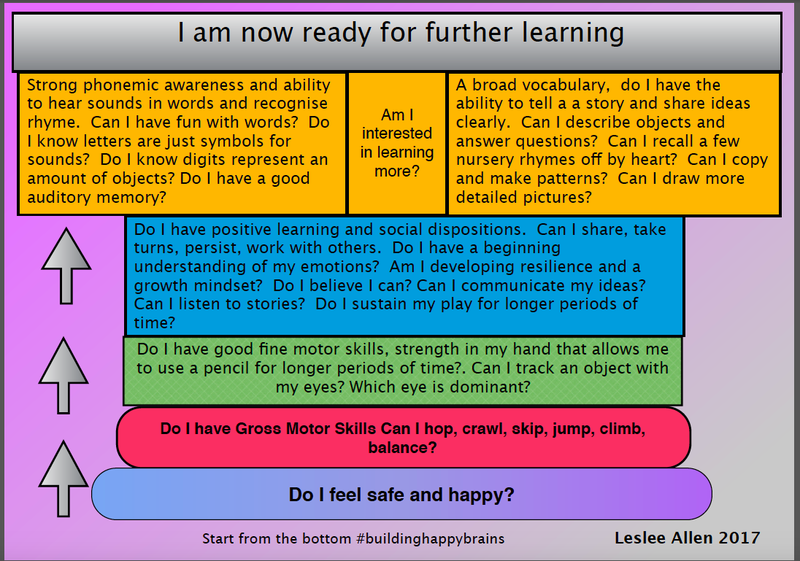 That post can be found here, and many of my previous posts talk about my what I think about developmental readiness. 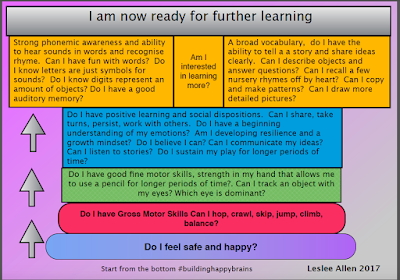 My diagrams on brain development in the classroom and literacy development are very relevant to this post. Today I wanted to blog specifically about writing...however as we know, writing is a broad term and it is all about communication. Children don't learn to write in isolation and the teaching of writing can can attempt to do just that! Writing is far more than just the mechanics and the product. Writing is not something that exists as abstract genres, which we teach on rotation, writing is about having a message, something to say. Many write for pleasure and others write for purpose, some write for both. When was the last time you sat down and decided it was time you wrote an instructional text. Children will develop an understanding of different types of writing, not because we spend three weeks focusing on it, but because for for the message they need to convey, this type of writing is necessary. When it is necessary, when they are interested, then they will learn about it and be receptive to us teaching them more. The thought that in many new entrant rooms across our country, children are forced to write from day one (and yes I also was guilty of this) makes me incredibly sad. These children sit in classrooms, where they are not yet able to speak clearly, yet they are expected to write a message, to learn their name, to even have an understanding of what they are being required to do. It all seems so absurd to me now that I've travelled this path into play. There is nothing wrong with invitations to write, experiences based around storytelling, but the expectation that all children at five will magically walk in the door ready to sit and spend an extended time recording a message is quite ridiculous. We sit down as a class, we talk about messages, we storytell, we expose children to a wide variety of rich and wonderful language through play, but when it comes to actually writing, if they are not ready, they are not ready and no amount of the teacher requiring them to write will make them ready. In fact it will put them off and later on, they will become our reluctant writers. As Nathan Wallis says, all they learn from being pushed into this learning is that they can't do it and therefore they are dumb. 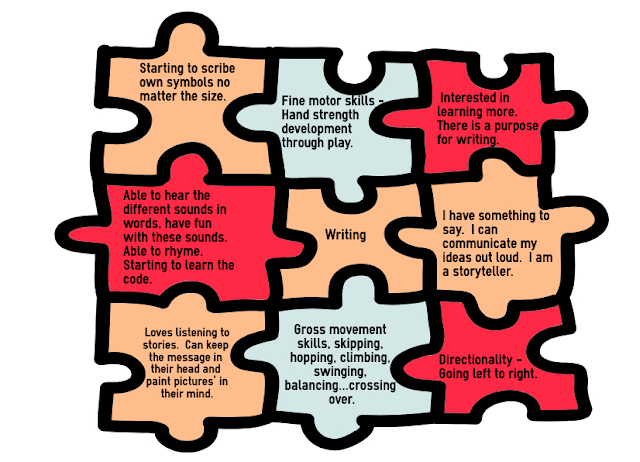 And so to go with the diagrams above, what do I think are the crucial parts of the jigsaw puzzle to get children started out as writers when they are ready. These are my thoughts. I have shared this before, but it is a really useful tool for 'assessing' the product so that we can better engage developmentally. Children will make marks during play in a variety of ways and this little assessment can be used to assess anything they produce through play...it doesn't have to be a piece of writing on paper and it doesn't need to happen inside four walls of a classroom. 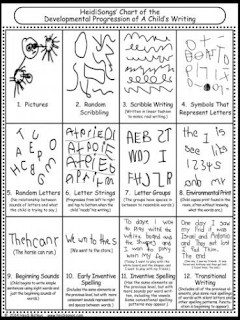 It is our job as teachers of the youngest learners to know that we do them no favours by foisting the mechanics of writing on them before they are developmentally ready. However we can assist them by slowly putting the jigsaw puzzle together so that writing becomes a natural and enjoyable process that has everyday purpose in their lives. Play is the way and the sooner we realise that, the better off we all will be. Play has purpose, through purpose comes authentic learning and learner voice and from there everything falls into place! 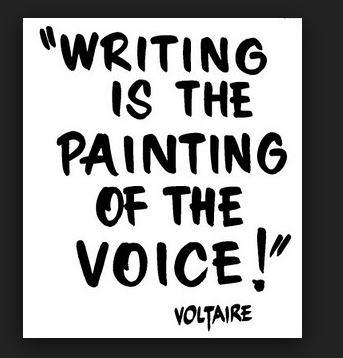 How would you feel if you were forced to write and you had nothing to say?